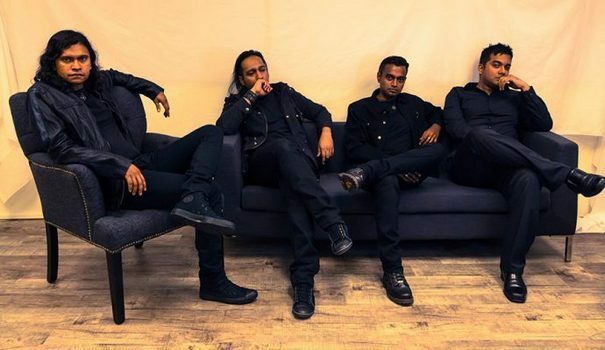 Singapore’s Rudra have been crafting their form of “Vedic Metal” since 1992 and their upcoming effort, Enemy of Duality, marks their eighth full-length album. With the release date of December 17 coming ever closer, we have the honors of streaming another song from said release in the form of “Root of Misapprehension.” Enemy of Duality will be released by Transcending Obscurity-Asia and features some excellent artwork from Mark Riddick. The album can be preordered via the Bandcamp widget below (from which you can hear three more tracks as well). So what exactly is “Vedic Metal?” Our chosen song of “Root of Misapprehension” covers that base remarkably well. Opening with some traditional Oriental instrumentation, it quickly moves into metallic territory with a driving, buzzsaw-esque blackened riff sure to get the blood pumping. Eastern melodies seamlessly flow into a more blackened death metal template, particularly with a striking solo that appears half-way through the track. Rudra have a knack for introducing melodies into a more crushing framework to create something that stands out among the extreme-minded folks, without watering down the overall tone. Impressive as it may be, “Root of Misapprehension” is nearly one facet of Rudra’s expansive and unique sound, and Enemy of Duality promises to be a solid closer to 2016 upon its release.